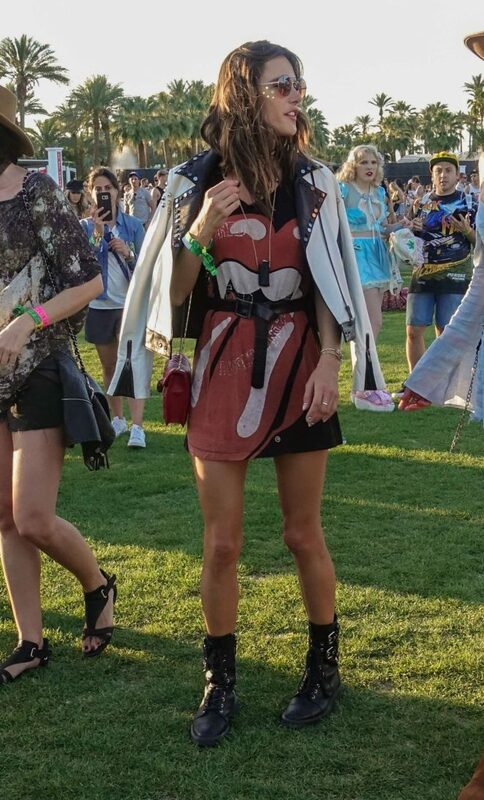 Supermodel Alessandra Ambrosio is a Coachella regular, and arrived in style in Indio to commemorate the festival. 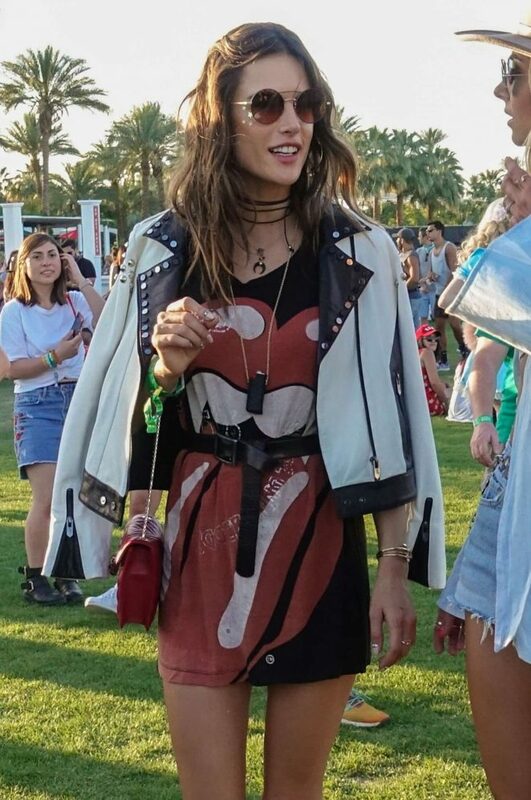 The 36 year old Brazilian, who is an avid fan of bohemian style, kicked off Day 1 in a belted Rolling Stone shirt-dress, and casually slung a studded monochrome jacket over her shoulders. Flaunting her stellar legs, the Victoria's Secret model wore black boots along with an assortment of silver necklaces, and topped off her style with brown shades.